List: From monitoring chickens to intelligent weather stations, boards are becoming the backbone of many IoT applications, but what do they have to offer? As the IoT quickly grows towards the many billion connected devices analysts estimate will be online by 2020, today’s hardware has become simple enough for nearly everyone to build their own smart solution. 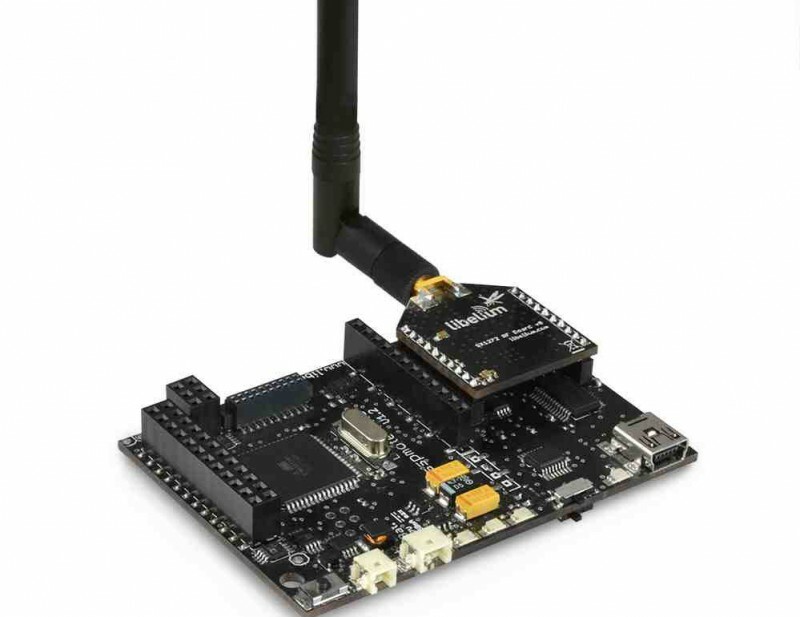 CBR lists five IoT boards for developers and their uses. The Genuino UNO is Arduino‘s version of UNO sold outside the USA. The microcontroller board is based on Atmel’s ATmega328P, an eight-bit microcontroller with in-system programmable flash which can go from 4KB to 32KB. The ATmega328P serial driver chip on the Uno also includes a pre-programmed bootloader, so developers can upload new code without having to use an external hardware programmer. The board is open source and has been developed targeting those wanting to build interactive objects and/or environments. It has 14 digital input/output pins, six analogue inputs, a 16 MHz quartz crystal, a USB connection, a power jack, an ICSP header and a reset button. The board’s software is the first version of Arduino Software (IDE). With a weight of only 5g, the operating voltage is 5V. IoT applications built with the board include lighting control with a mobile phone independently of where the user is, a propeller display controlled by Android, or a "safe chicken house" that controls chickens’ movements as well as predators, food and drinks supplies and eggs quality. Raspberry Pi 3 is one of the most recent boards to hit the IoT market having been released on February 29. The board is the third product launched by UK based educational charity Raspberry Pi Foundation. The board is essentially a credit-card sized computer that can be connected to any monitor, be it a PC or a TV. It runs on the Raspbian OS and in August last year, Microsoft launched a Windows 10 IoT Core OS aimed at the board. The product features a 1.2GHz 64-bit quad-core ARM Cortex-A53 CPU, which the organisation claims, offers ten times more performance the Raspberry Pi 1 launched in 2012. Pi 3 also has an integrated 802.11n wireless LAN and Bluetooth 4.1 and Low Energy connectivity, and despite being the latest version, it is still compatibility with Raspberry Pi 1 and 2. For Pi 3, Raspberry used Broadcom’s BCM2837 system on a chip (SoC) which runs at 1.2Ghz and is based on ARM’s Cortex-A53. Memory RAM sits at 1GB and extra storage can be added with the addition of a microSD card. Ports include and HDMI entry, a 3.5mm analogue audio-video jack, four USB 2.0, an Ethernet port, Camera Serial Interface (CSI) and a Display Serial Interface (DSI) ports. The board can be used for several practical applications, such as making a TV smarter, boosting a home network’s range or simply enabling an hold printer to print wirelessly. Using Windows 10 IoT, other more IoT-centric projects include a smart weather station, a personal home safety agent and a door that can recognise faces. IoT and M2M provider Libelium has developed a board, Waspmote, based on Atmel’s eight bit low power microcontroller ATmega1281. The open wireless sensor platform has been designed to be mostly used in low consumption IoT applications and allows nodes to work autonomously. Battery life last between one to five years depending on the end usage of the board. Waspmote is based on a modular architecture and it seeks to integrate only the modules needed in each device optimising costs. As a result, all the modules, from radios to sensor boards, plug in Waspmote through sockets. Over 2000 people have used the 20g board which has space for an SD card of up to 2GB. The company claims the hardware can be used in temperatures ranging from -10ºC to +65ºC, making it usable in most places on Earth. Libelium has also embedded two low power consumption modes. The consumption in Deep Sleep mode is 55 microamperes (µA) while in Hibernate mode, the consumption is only 0.7µA. The board is awoken from hibernation by an alarm from an internal clock. The board has been widely used to create smart IoT solutions, especially in the first three months of 2016. Developers have built, for example, a smart agriculture project in Galicia that is monitoring vineyards, a civil works sensor platform to monitor water and air quality, and a pest control system to save olives from natural disasters. WeIO‘s creators describe the board as the "web of things for creators" that is connecting ‘things’ while using web languages such as HTML5 and Python powered Tornado WebSocket server. 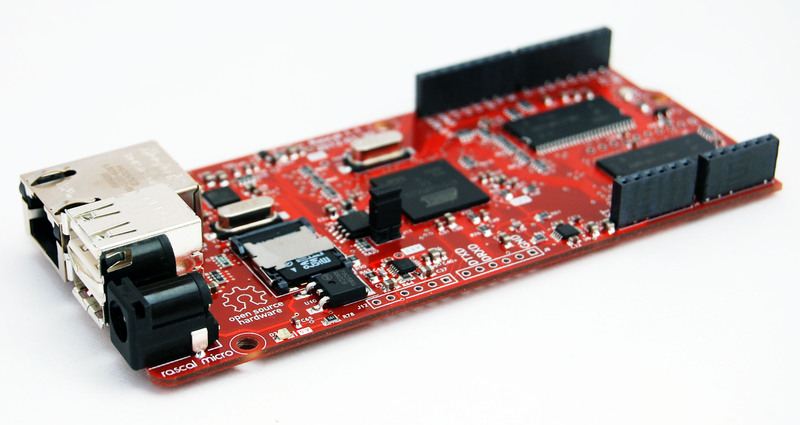 The open source hardware and software platform is aimed at rapid prototyping and creation of wirelessly connected interactive objects. It uses OpenWrt Linux OS. WeIO consists of the development board and WeIO IDE, locally served directly from the board web application. This allows developers to program and control all inputs and outputs on the board from any browser. The board is using the Bonjour software for automatic discovery. Bonjour has been developed by Apple, and was originally launched in 2012. Those using the board and working on a Windows environment will have to install Bonjour Print Services for Windows directly from Apple’s website. WeIO’s connectivity includes WiFi IEEE 802.11bgn 1×1 2.4 GHz integrated into an Atheros’ AR9331 processor. Memory flash is 16MB, and an extra 64 MB DDR2 RAM is also included. Additional storage can be added with a micro SD card and a USB flash drive. Users can control the hardware from their smartphone and other mobile devices. The company says WeIO is made "for the lazy ones" and for that reason it does most of the data visualisation work itself, and in real time. The board allows users to create a wide range of end-products, such as a music and video streaming service and 3D printers monitoring. The Rascal, created by Rascal Micro, has been designed to back solutions to monitor and control things remotely. The product is open source, works with Arduino shields, and available under a Creative Commons license. The OS software behind it is Linux and it is programmable with Python. The single-board computer was originally released in 2011, and its CPU is built on ARM’s ARM926EJ/S with 400 MHz. Memory stands at 64MB, however, it can be extended with an SD or SDHC card. Power consumption is 1.25W. The board has been used, for example, by artist Dennis Carmichael, in his Light Blades installation in Boston, USA. Unlike IoT OSs, IoT boards need to be paid for and that will be the number one key decision point for many. However, this market does not go for cheap or expensive, and again, it is about the whole package. For example, Raspberry Pi 3 is one of the cheapest boards in the market, but is being used in several IoT projects that have been proved to work. Microsoft’s release of Windows IoT Core for the board also brings in a huge advantage to those using the hardware, as they will get insights into one of the top five technology giants in the world, which is also doing heavy investments in the IoT space. Yet, Arduino is another very popular choice. Intel has grasped an opportunity here and in 2013 launched Galileo, an Arduino certified development board based on Intel’s x86 architecture. In the end, as the IoT grows in momentum (and we are only at the beginning of it all), developers that are looking for a board to build a business will have to try as many as possible to find the one that gives them more power, speed and reliability as well as enough battery life for the sort of deployment they are look at.